Vegetation surrounding house sandwiched between two concrete slabs. 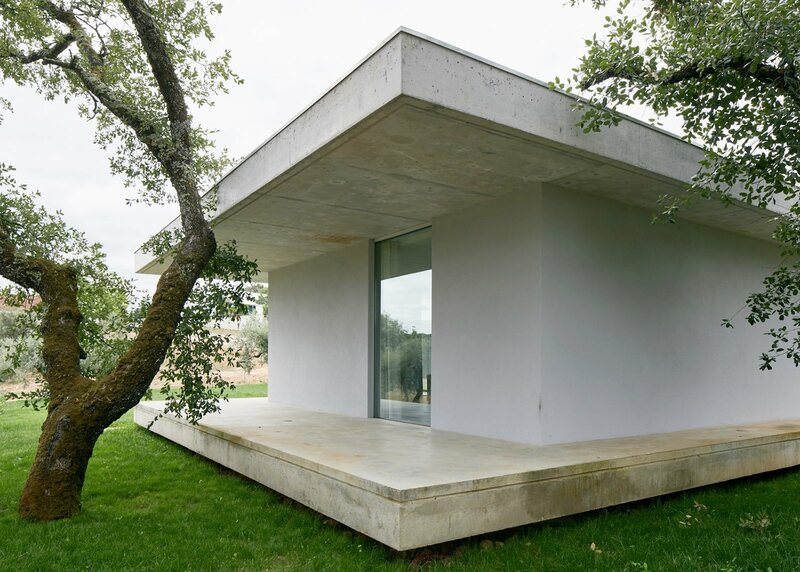 Project Fanu House in AnsiÃ£o, Portugal, designed by Bruno Dias Arquitectura. Photographed by Hugo Santos Silva.